Have you recently hired a travel management company (TMC) for your organisation? As with any business service, it’s crucial to assess how well the arrangement is working in the first few months. 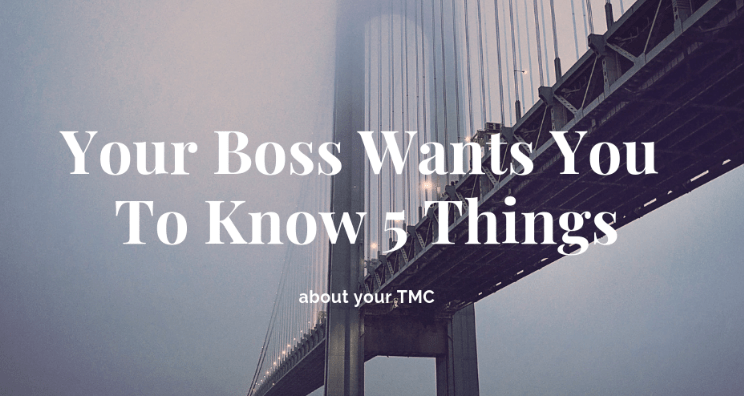 Here are the five key things your boss really wants you to know about your TMC before you report back. 1. How satisfied are staff members? When staff are making travel bookings, are they going through the TMC, or complaining about it? If service is poor and the system isn’t user-friendly, staff will book travel themselves, which will be reflected in the bottom line. Another question to ask is whether employing the services of the TMC has made life easier for your business travellers. If this is the case, the TMC is serving its purpose. If not, it’s time to investigate further. 2. Has it saved the business money? One of the primary reasons to engage the services of a TMC is to save on your corporate travel. Have the savings promised during the procurement phase been realised? Are the reports on spending readily available for analysis, and easy to understand? If your TMC’s system of reporting isn’t comprehensive or transparent, you won’t be seeing where savings are and where adjustments are needed. 3. Is the TMC going the extra mile? Anyone can book a flight or hotel, but it usually takes a special service to procure those little added extras. Sure, the TMC is organising travel and finding the best deals, but is the company also going the extra mile? This might include securing upgrades, free Wi-Fi and included breakfast for travellers, and offering staff corporate rates for personal trips. If your TMC is going above and beyond for your organisation, great. If not, perhaps it’s time to renegotiate. 4. How well does it solve problems? Travel is not without its problems. Flights are rerouted, accommodation changes and travellers may be stranded by natural disasters. How well is your TMC dealing with these sorts of issues when they arise? Are they on hand outside working hours for emergencies? A good TMC will be quick to respond to problems, and will handle issues calmly and efficiently. Is your TMC quick to help with forms and answer questions? Does it provide enough support in using the online booking system (OBT)? If your TMC isn’t offering ongoing training and tips on how you can get the most out of the OBT, you’re not getting value for money. Using a TMC to streamline your corporate travel makes sense for the bottom line. However, it’s vital to analyse how it’s operating along the way, to ensure your organisation is realising the full benefits.